Unique larger divided sponge covers more surface area. Sponge side provides a thorough clean. Wringing lever keeps hands dry. 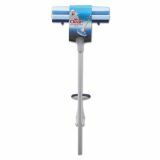 Mr. Clean Heavy Duty Roller Mop, 45" Handle, 10 1/2 x 3 Head, White/Blue - Cover more surface area and clean faster with the unique larger divided sponge of the heavy duty roller mop. 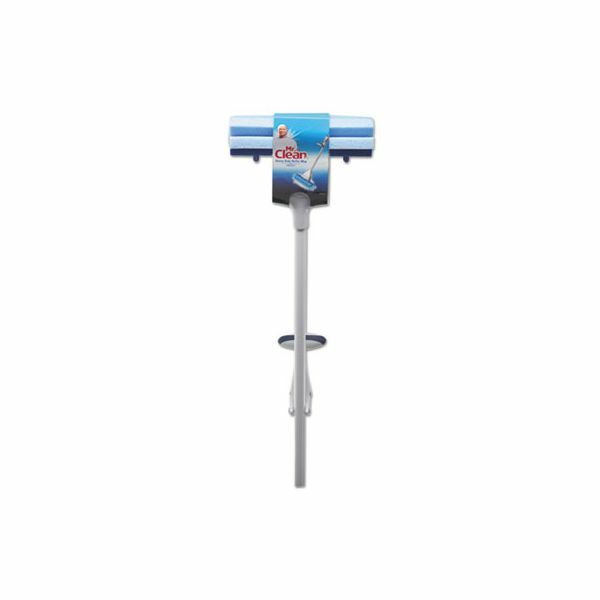 Medium duty scrubber removes scuffs and is safe for tile and no-wax vinyl flooring. Sponge side provides a thorough clean. The easy-reach wring grip keeps hands dry.